Nintendo President Tatsumi Kimishima says Nintendo will add VR to the Switch when people can play it for hours without problems. 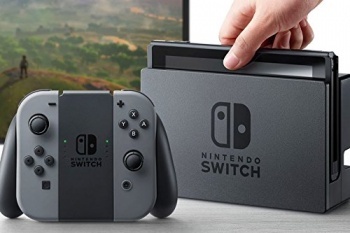 In an interview with Japanese business newspaper the Nikkei, Nintendo President Tatsumi Kimishima spoke a bit about the future of the Switch. As well as revealing the prices for the system's online services, Kimishima spoke briefly about his take on the burgeoning VR market, and whether or not the Switch would ever include it. He said that Nintendo is "studying" VR but thinks it isn't quite there yet, and doesn't want to add VR capabilities to the Switch until people can literally stomach it. "If we are able to resolve the issues with playing [VR] comfortably for long hours, we will support it in one form or another," he said, without providing a time frame. He is no doubt referring to the fact that a considerable percentage of players (this reporter included) suffer from motion sickness while using VR. VR technology is constantly improving, and has made leaps and bounds in progress since the early days of the Oculus. Valve's Chet Faliszek already belives that the hardware is flawless and that any instances of "Virtual Reality Sickness" are a software issue. Either way, it looks like Nintendo hasn't completely ruled out VR for the Nintendo Switch.